The Sills episode is memorable for a couple of segments without the star. Twin characters, the Fuzz Brothers, were abstract, complicated puppets that combined soft materials with human mouths (and beards!). 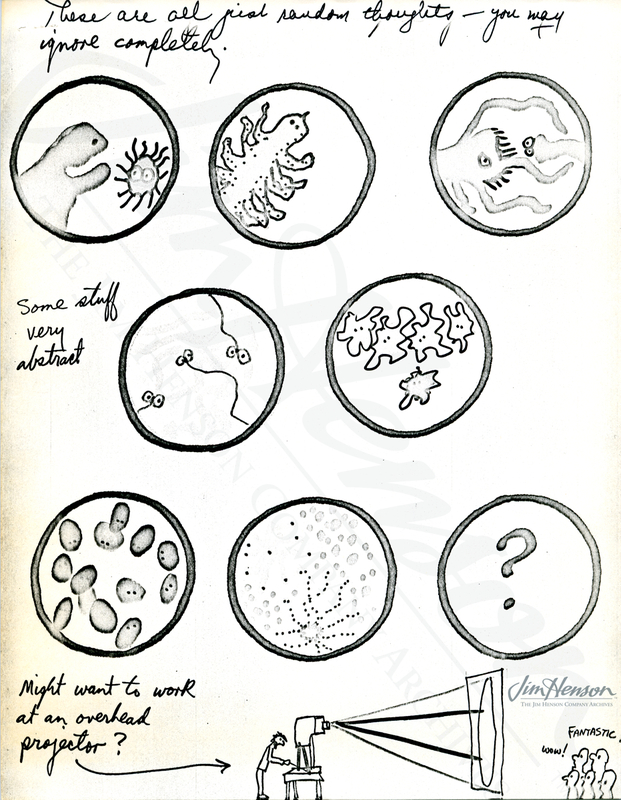 Not one to waste a good idea, Jim also pulled out a concept from one of his Broadway Show proposals from the early 1970s and had Sam Eagle in professor mode examine the microscopic “World of the Water Drop” focusing in on Kermit and Fozzie amoebas telling bad biology jokes. The highlight was, however, the final number with Sills — a mash-up of opera parodies showcasing of her terrific singing with a bunch of pigs. 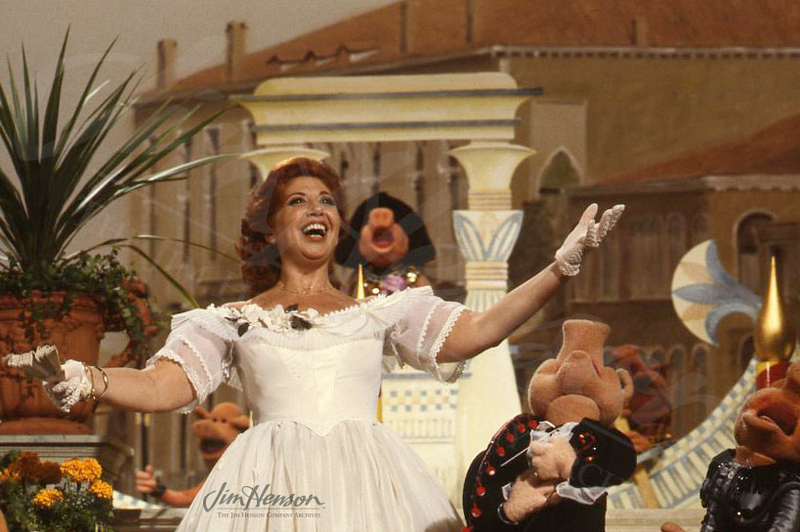 Beverly Sills on The Muppet Show, 1979. 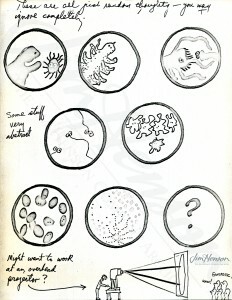 Jim’s Broadway Show concept for microscopic performers, early 1970s. 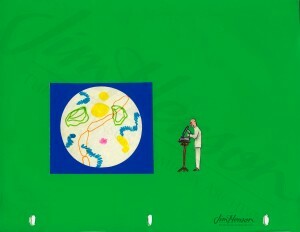 Jim’s presentation illustration for his Broadway Show concept featuring the view through a microscope, early 1970s. This entry was posted in 06-June '79, 1979, Muppet Show and tagged Beverly Sills, Fozzie, Kermit, Miss Piggy, Statler and Waldorf. Bookmark the permalink.